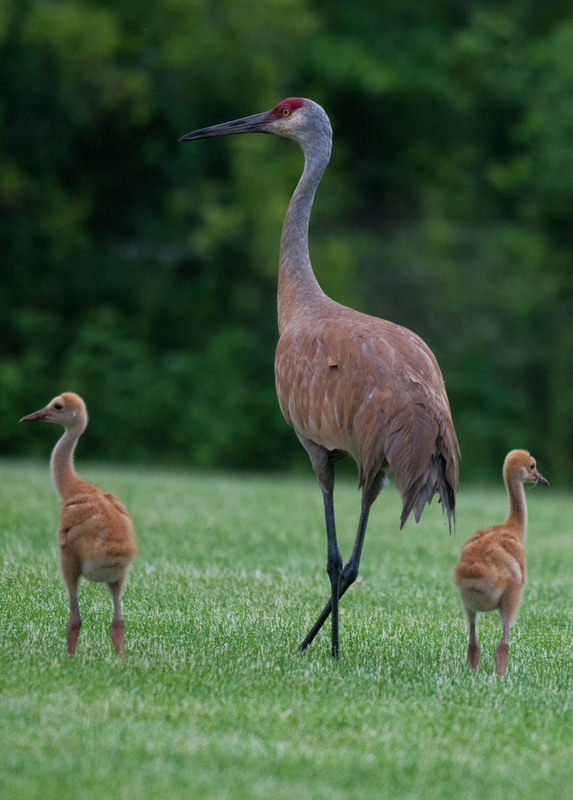 Sandhill crane with her colts. Saw them and quickly went home to get my camera. When I returned they were still in the area. A serious photographer who enjoys looking for and photographing wildlife and nature.